The idea of a drum shade over a crystal chandelier has become a fairly common commodity these days. So much so that we fear that it’s becoming way over used. But take a look at this photo which was taken at the Carton House Hotel in Maynooth, Ireland in 2006. The designer of this space was truly ahead of his or her time. A traditional design element treated in a new way (at that time)! 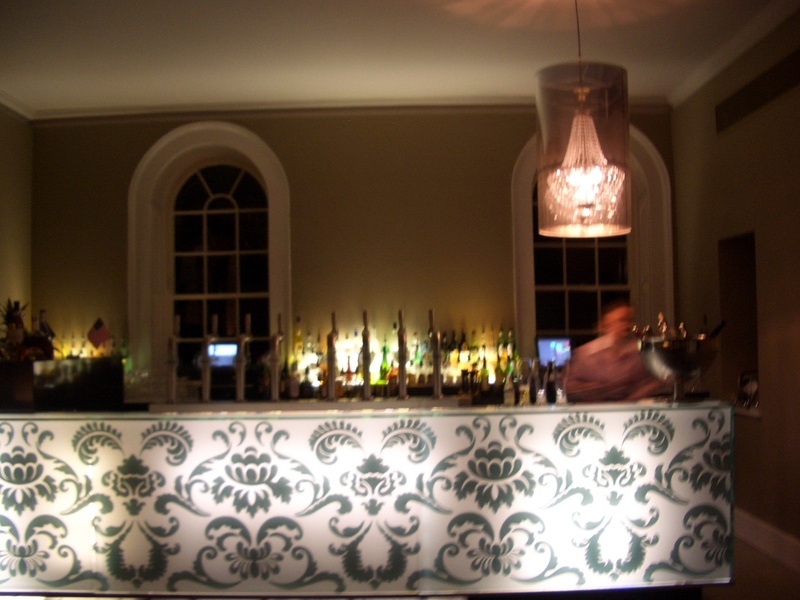 Also, note the great bar (called the Kitchen Bar) which is constructed of an acrylic material with a back-painted pattern and then lit from behind. The pattern is traditional, the material is contemporary. Why couldn’t this idea be incorporated into a residential setting?